from 60 pcs. 0,25 EUR ea. from 140 pcs. 0,22 EUR ea. 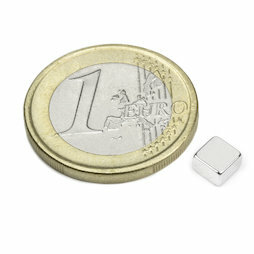 Thanks to the extremely strong N52 magnetisation, this small block magnet features an adhesive force of 1 kg.